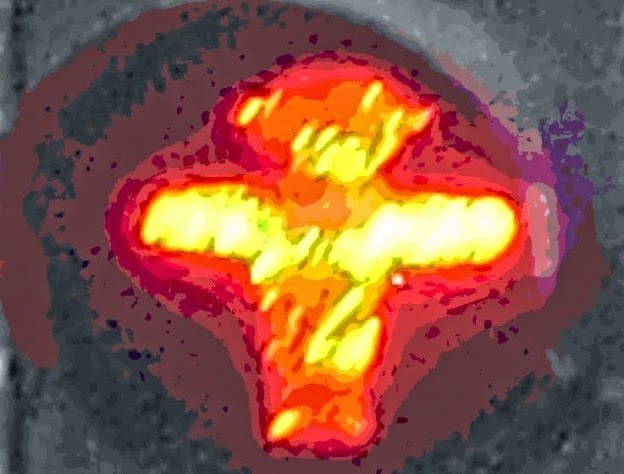 .No produces a monthly radio show on Concertzender called Kairos. Wo. is a fan of rock, pop, beat, indie, singer-songwriter, etc., in short, the kind of music that is not on the top of .No's mind when he assembles the music for his show. Wo. lets himself be challenged by .No and writes about the way the often exotic music affects him. But, as you will see, tips of Wo. start to find their way into Kairos. The connection with Snowstar Records, absent this month, came about through the review of Broeder Dieleman's wondrous record 'Gloria', but this month it is a 100% certified tip. and perhaps not the last one. Who can tell? Kairos' usual start, the sonorous voice over under some faint piano notes, blends with a piano composition of Howard Skempton. The proverbial slowness in playing is on display, but it is sort of hard to know what happens next. Tape hiss and a lady voice proclaiming a text. I guess this is Michael Pisaro's 'Unmoon'. What all the other people mentioned in the liner notes of this month's Kairos have been doing on this recording, I just don't know. And where does 'Unmoon' start and where does Natascha Barrett's 'Submerged' begin? All is shrouded by musical mist, tape hiss and atmospheric un-music. There's no telling for the simple rockfan like I am. Next it becomes clear. 'Sicut lilium' by Henk Badings is a choir like they have in large churches. The voices are the angelic sounding Schwester Hochfünf. Five ladies called Tschuschke who take the melody full on and weave their parts in an intricate and delicate way. There's no forcing here, just rest and contemplation. 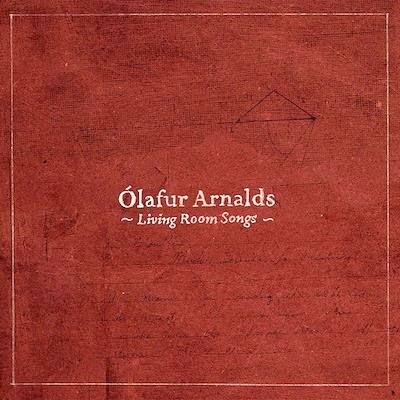 '...og lengra' by Ólafur Arnalds blends wonderfully well with the voices. It could be a mere continuation of 'Sicut lilium'. Arnalds' piano provides the basic notes for the violins to play their soft melodies over. The rustling of the waves on a clear, windless day. Nothing, crash of the wave on the beach, rustling, nothing and crash. That is what '...og lengra' reminds me of. The ease of a warm day at the beach, but somehow also the threat of canons far of in the distance. Strange by true. We remain in Iceland as the next contribution is by another composer we have met in the past months. Ólafur Björn Ólafsson with two compositions: 'Knoll of Juniper' and 'Molasses'. The first is a one minute composition, over before I know it. It sounds somewhat difficult, as if the players receive the next note only the moment they have to play it or even one second behind that moment. The second composition is darker, with a rustling in the background under the instruments, as a form of extremely slow rhythm. So minimal in impact. Both are contemplative and totally at ease with the world. Next up is by an anonymous. 'Quant la doulce jouvencelle by Asteria is a Medieval sort of song, brought in a very serious way. I can imagine the same composition as a sort of jig played by Fairport Convention and by default Celtic punkrockers Dropkick Murphies. No problem at all. Sylvia Rhyne and Eric Redlinger chose to approach 'Quant la doulce jouvencelle' as if they are singing in a church environment, with the bishop himself present. Solemn and serene. It certainly works this way also. And on comes a near 20 minute sound experiment with .No in a supporting role. Besides all other things he makes music himself also. All though Klaus Wiese's 'Tibetanische Klangschalen I, tr. 1' .No sort of re-mixes the track with soundscapes and mixes two other compositions into the whole. An organlike sound provides the underground for the Tibetan scales that sound like tubular bells or your grandfather's clock resounding on the mantelpiece. Somewhere down the composition the speed is tampered with. Is that you, .No? The Real Group's 'Om alla berg och dalar' can be heard, mixed in, multi-layered vocals of this Scandinavian song. There's also very faintly a bleeping that reminds me of Kraftwerk. All in all it takes some stamina to sit this through. 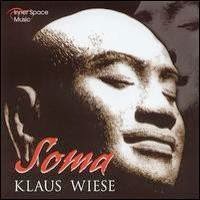 Nearly 20 minutes of Kairos is taken up by Wiese's composition in which, quite frankly speaking, nothing happens. It is true to Kairos' intentions, a meditation in music. The musical personification of "ommmm". So close your eyes and let yourself be carried away by everything .No is doing here. He's the expert. Another of .No's favourites comes by as well: Arvo Pärt. 'The deer's cry', played by Ars Nova Copenhagen with Paul Hillier conducting. The choir's singing starts over the drone of Wiese. 'Christ with me"?, at least I think) is sung in low and high voices. All extremely serious. There's no hint of humour here. Hearing a choir sing I'm always touched and surprised by the power of and variety in the human voice. How intricate the voices can come together and float apart at the same time, creating this myriad of voices that together make up a complex composition. Although I never play this sort of music at home, when running into it by chance in a church, where else, I always have to listen. Fascinating. 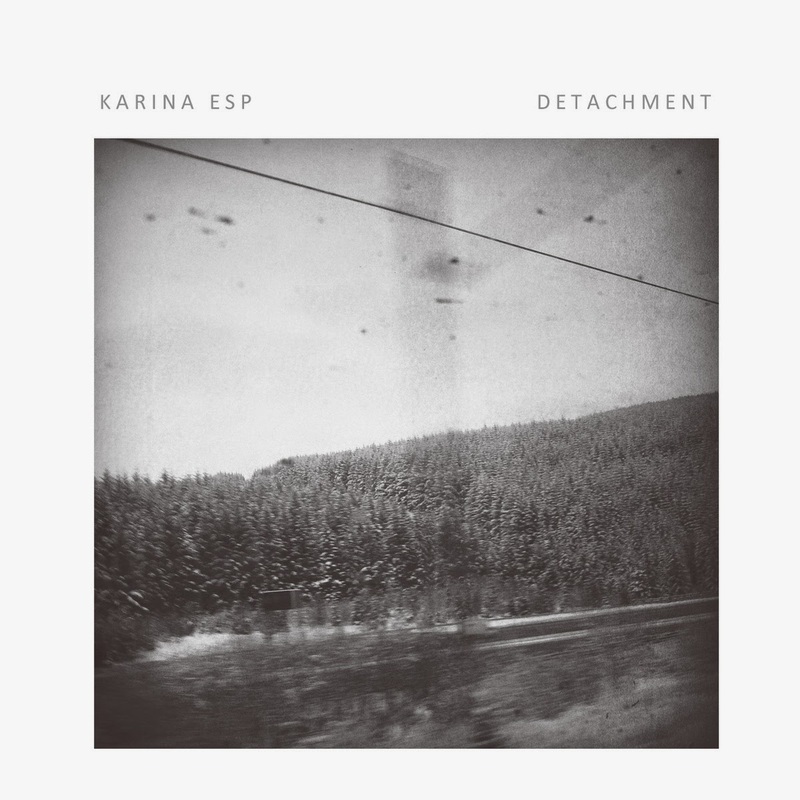 Karina Eps is also back on Kairos. A bit more eclectic although how strange it may sound, the comparison with Pärt is not that large. Just listen to the swelling and deflating of the electronics of Gowers. The radio frequency sound didn't even detonate under 'The deer's cry. While the two musical worlds could not be more apart. The bass Gowers plays is straight out of Pink Floyd. 'Distant light' is very modern, past music, so more sounds that could be in a soundtrack of a movie where the actors are trying to get into touch with something or someone out there, but making no connection. A story like 'On the beach'. And there are those birds again. And finally we get to De Kift. 'Hoofdkaas' is one of the most touching songs the band recorded to date. Based on a poem by Werner Schwab the band does its Tom Waits, Kaizers Orchestra, brass band kind of thing in combination with being De Kift all the way. See if you can guess what the rhythmic sound is towards the end. A first on Kairos, I'm sure. 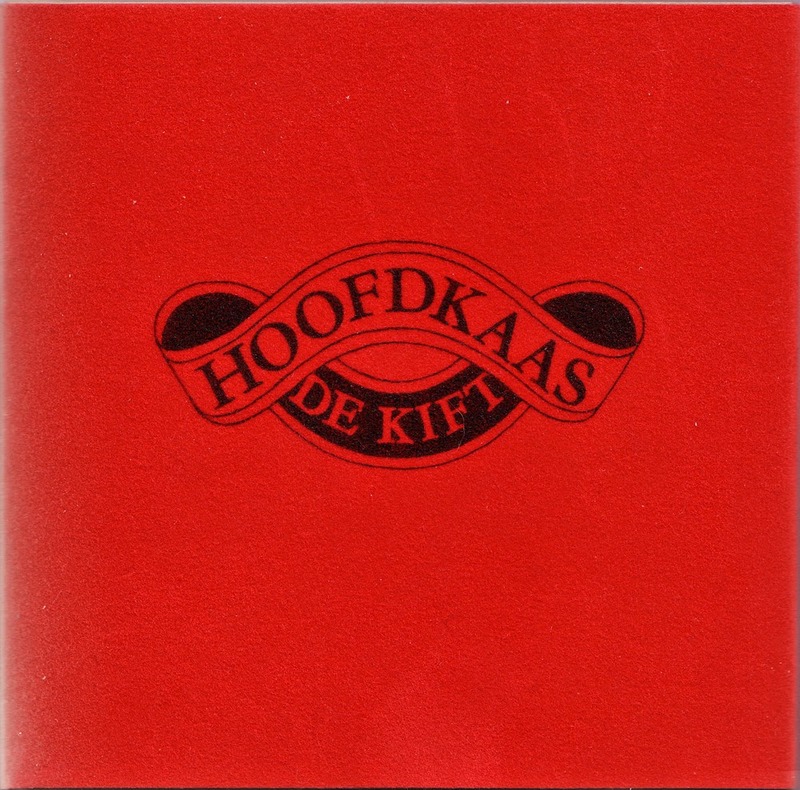 'Hoofdkaas' is the album that the band managed to become more melodic, including beautiful harmonies that, in all their roughness, are so delicate; all that without losing all the finer points that make it unique. 'Hoofdkaas' is built up intricately, so totally befitting Kairos and a beautiful end to February's edition. Most likely also tis most eclectic and wildest to date, while still remaining so graceful, even if it is a grace from the gutter.